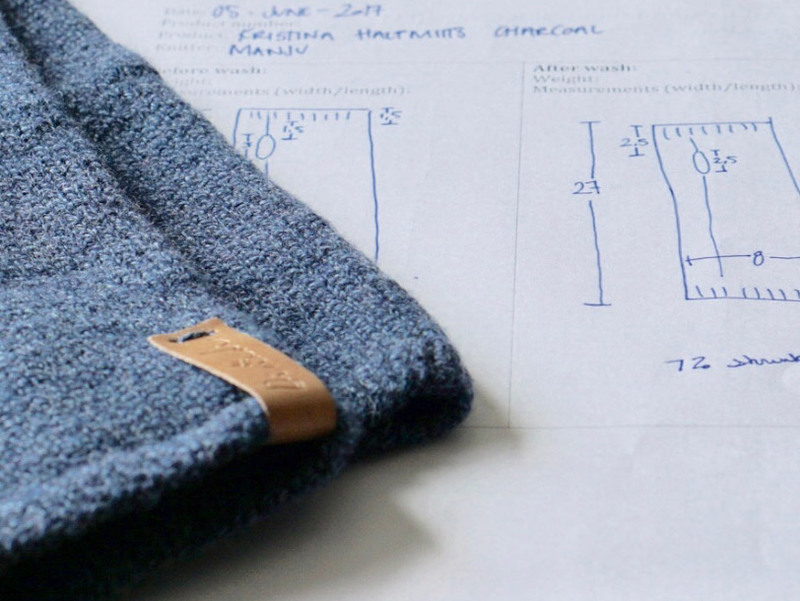 We exclusively work with 100% super fine merino wool. We love merino wool because of its sustainable nature; naturally insulating, breathable, wicking, dirt resistant and durable and at the same time 100% natural, renewable, biodegradable and recyclable. 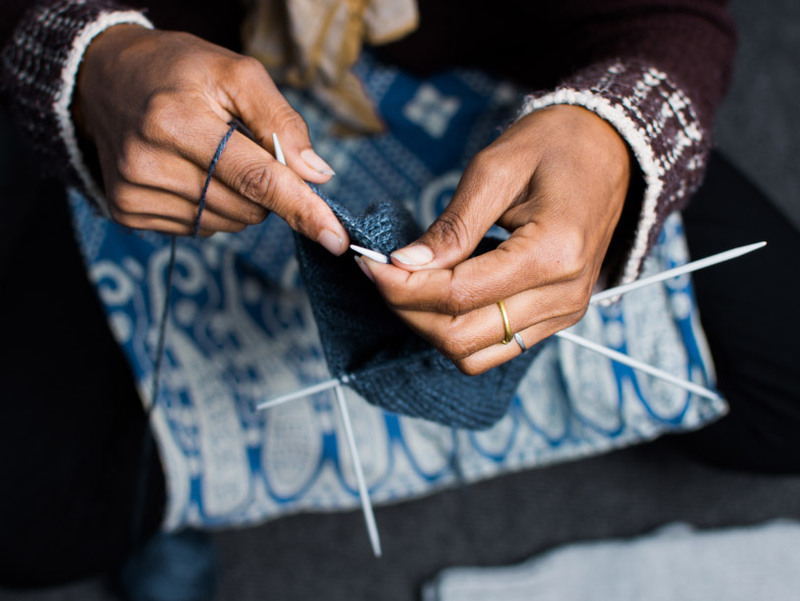 Unlike acrylics, Merino wool is breathable, non-clammy and has an amazing ability to resist odor and is practically self-cleansing while still being light-weight and non-itchy. As wool is a natural fiber it will stretch and conform to your size. That’s how we can make unisex pieces in one size; with wear, each piece will be sized to your individual fit. Thermal regulating, the merino fleece is naturally insulating and allows the merino sheep to adapt to the changing weather conditions all year around – from extreme lows in winter to high temperatures in summer. The technical fiber is able to release and obtain heat depending on the environment and regulate the temperature. 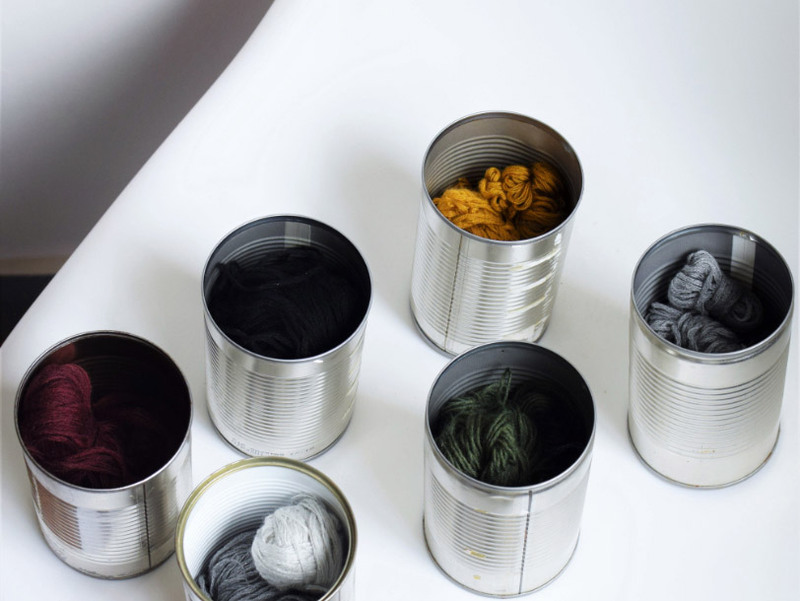 We repurpose all our yarn and ensure nothing goes to waste. Scrap yarn is used for sewing tags or is sent with the product as a strand of mending yarn. Yarn not suitable for our designs is used in our zero-waste collection design and sold locally in Nepal. We design collections of winter classics to combat constant changing trends. Slow fashion, in its essence, is about slowing down the fast pace of the fashion industry. It is a movement that promotes high quality and timeless designs, all done in a sustainable and ethical manner. One of the simplest ways we can care for our environment is by limiting the use of plastic in our packaging. 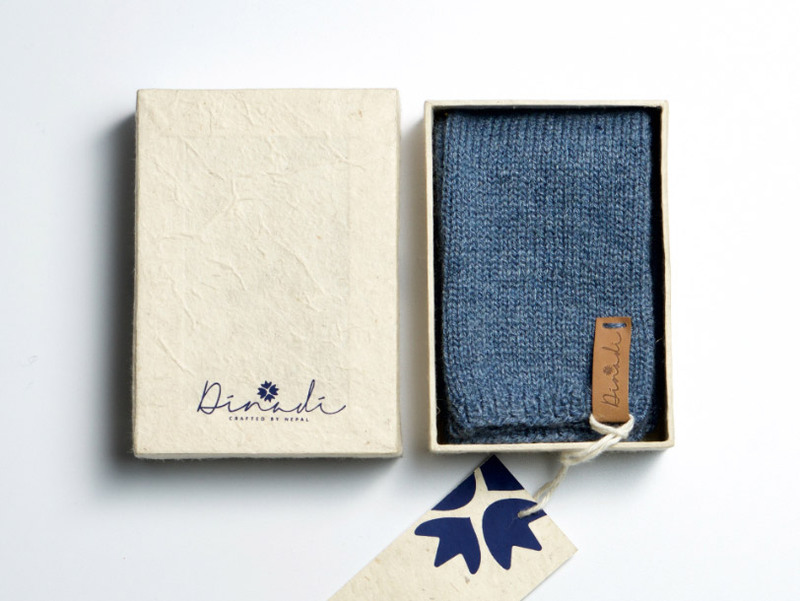 All of our product boxes and hang tags are made from local Lokta paper – an environmentally friendly paper made from the bark of a fast-growing bush that grows in the areas of the Himalayas not suitable for farming. Lokta paper is handmade and sundried and no machines are used in the process. We hope you will recycle your box and find a new use for it. We love hand knitted products for many reasons! 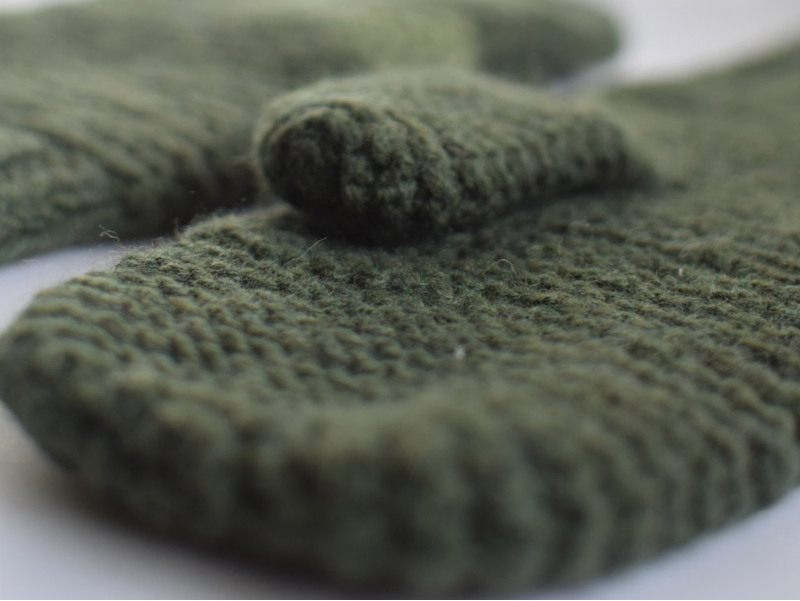 All of our hats and mittens are hand knit, and no machines are used in the process. This not only provides flexible job opportunities for our employees but also saves on electricity, decreases waste and produces soft products without seams. All of our scarfs are made by machine in a small local production facility in Kathmandu. We make sure to visit the businesses we outsource to once a month to ensure that Dinadi quality standards are met and to ensure ethical standards are also upheld.